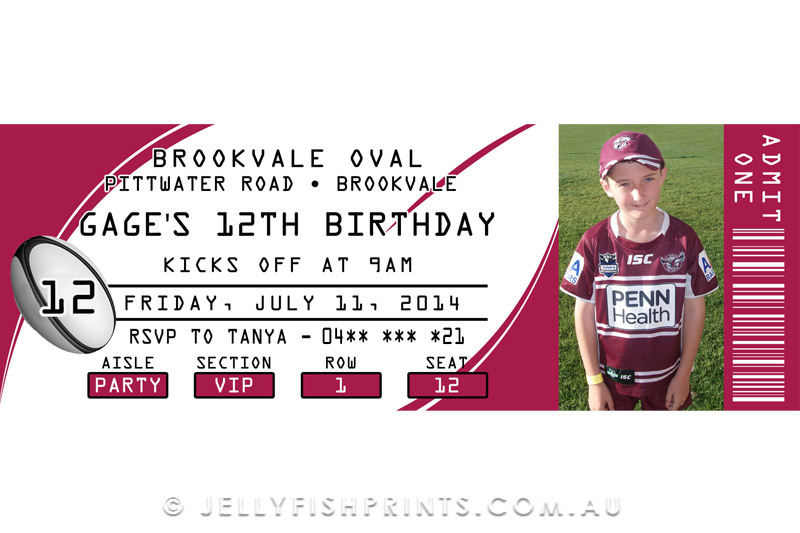 Print it Yourself ticket rugby league invitations. 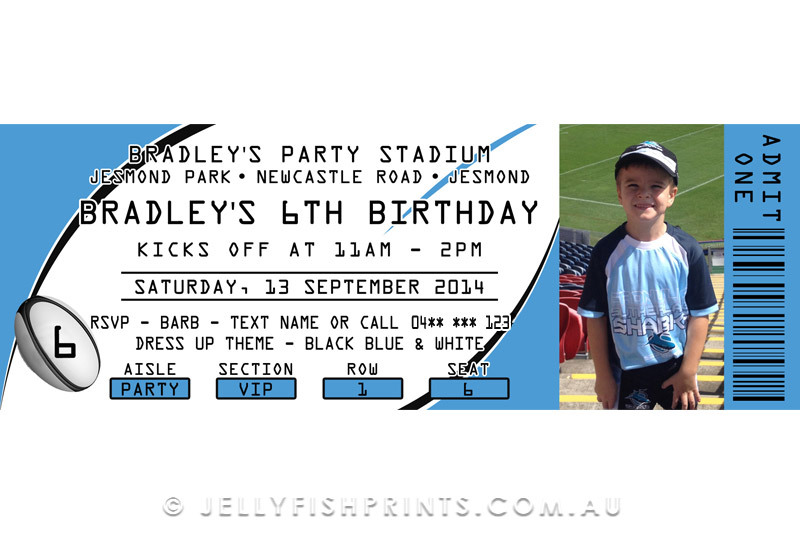 Use your original photo of the birthday boy or girl to further customise the design. 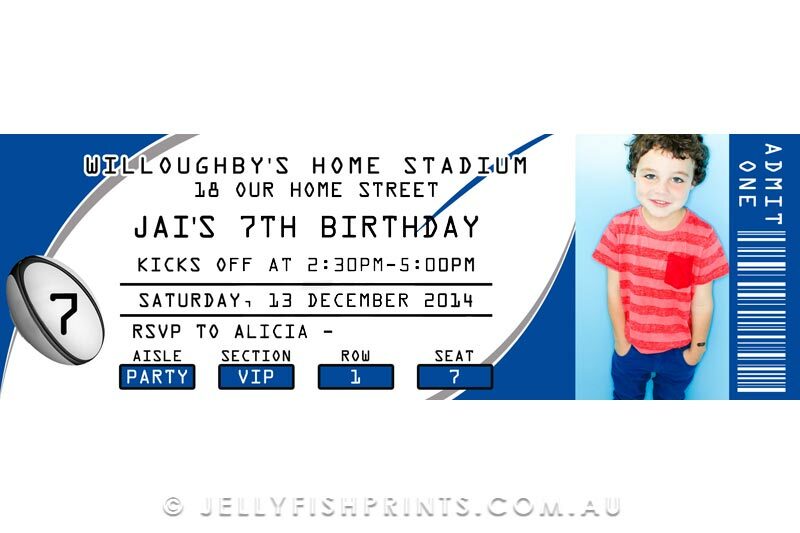 We can create a ticket that represents your favourite footy team. whether it be Rugby union, League or AFL. Just let us know what colours you want below. 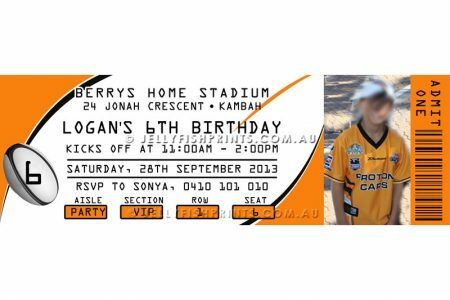 If you are a fan of the West Sydney Tigers, the Brisbane Broncos or one of the other NRL teams, our ticket invitations with a footy theme will be just the thing you need to complete your party. Any of the colors can be changed to suit your party theme. 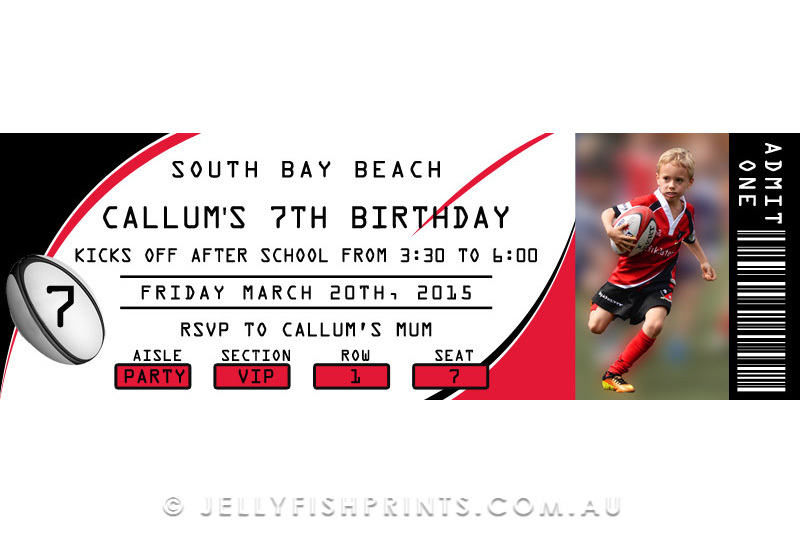 A photo of your little footy player can be inserted or we can omit a photo althogether. Change the Seat or Row number to be your Jersey number or the birthday boys age. Please note any changes you wish to make in the ‘Extra information’ box on the order form. 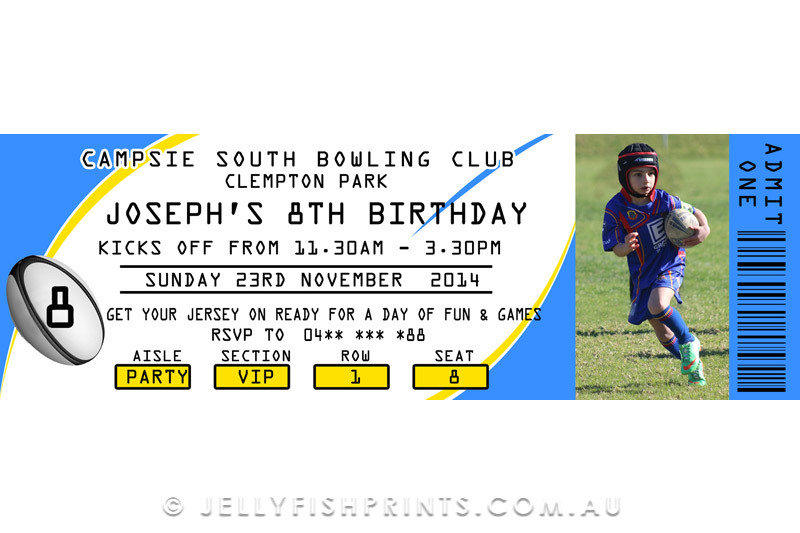 The size of these invitations are 2″x6″ and 2.5″x7″. 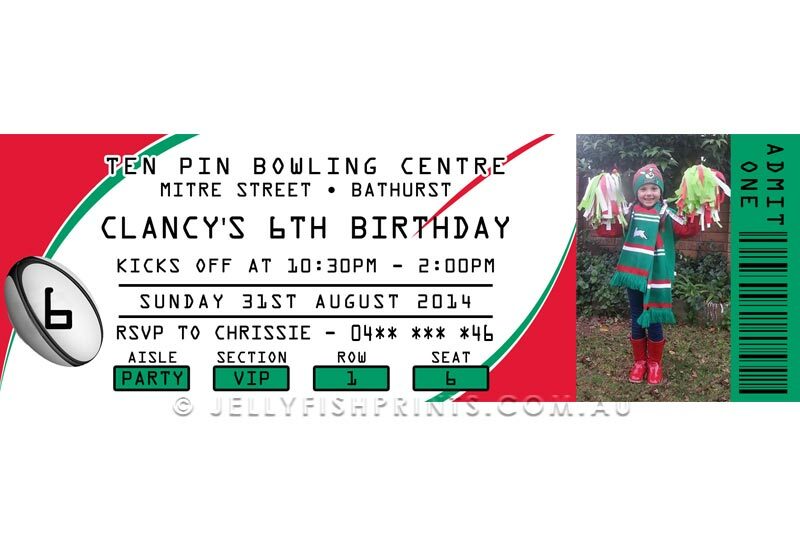 We will include two invitations in a 4″x6″ jpeg file (or 5″x7″) Once you have printed them at a photo lab you can simply cut the print in two to produce two invitations. 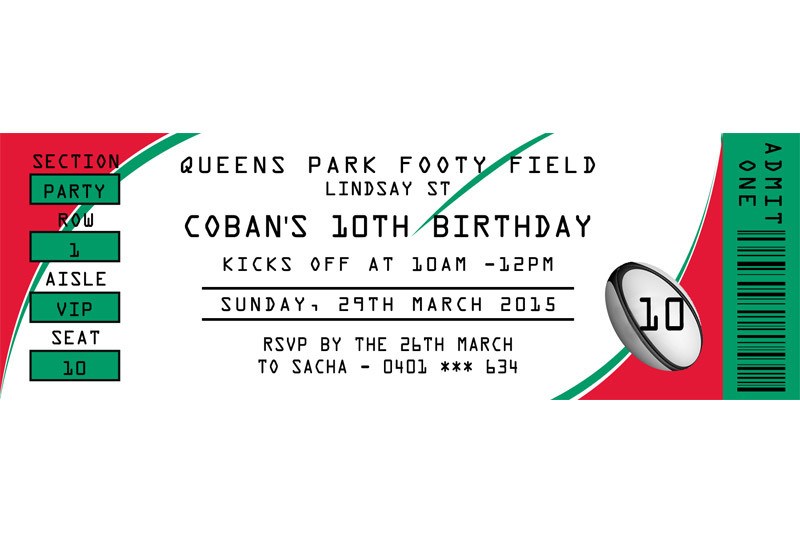 The PDF option will include 4 invites per page. 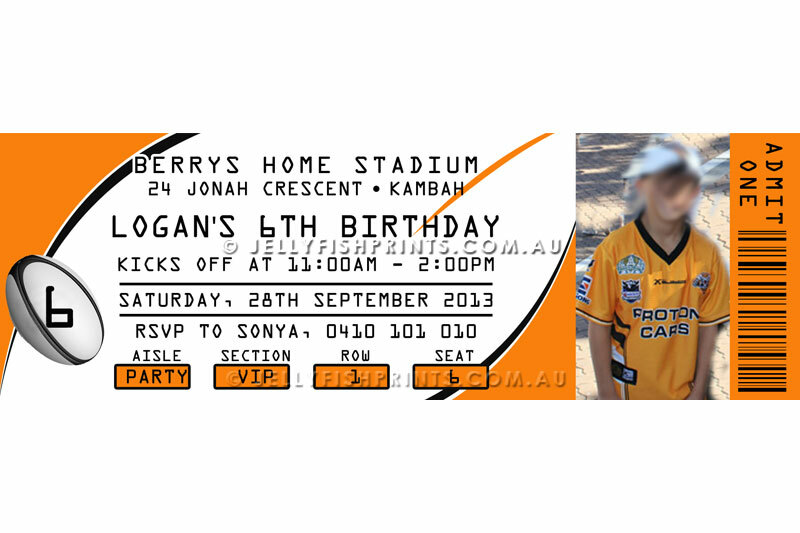 We will also send you the Rugby League Birthday Invitations as a single invite file.